Many homeowners like to keep tabs on the value of their home. 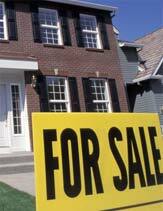 As you may be aware, home values in Tulsa and the surrounding area are forever on the move. Simply fill out the information below to calculate an estimate of your home's worth right now. Using data from the Freddie Mac House Price Index (FMHPI), this tool can estimate the value of your home by considering the appreciation rate for your metropolitan area and your home's original purchase price and date. Of course, the estimate produced here should not be taken as your home's actual or appraised value, but it should be a good starting point for you to see the fluctuations and trends in your market. Let us help with all your home marketing decisions, including determining the best asking price. We know the particulars of your neighborhood and the values of homes. We can help you discover what your property may really be worth. If you have questions regarding real estate in Tulsa, Oklahoma, call us or send us an e-mail.